In the yellow corner: Lundafalafel. The region Champion. The crowd favourite. 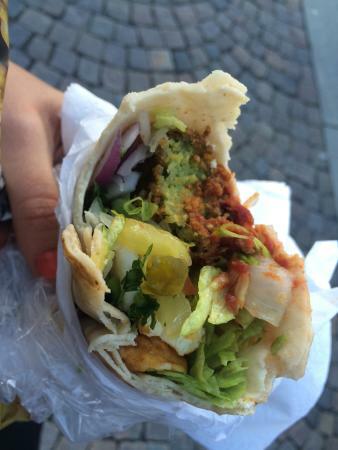 The most notable and most recommended falafel bar in Lund. Appropriately named: Lundafalafel. If you ask for a recommendation from any Lundensare, this place is the likely response. Take a quick look at the #lundafalafel hashtag and you’ll see ample pictures of happy customers. This simple little hole in the wall shop is as it seems. The service may lack a little in friendliness but makes up for it in quickness. This is assuming that you’re not there bang on lunch time when the crowds form and the orders pile up. The food itself is really good. Sometimes they may suffer a little, especially when it’s busier, but generally you’ll get a well stuffed wrap. There’s a few benches available outside, which is lovely in the summer but not as pleasant in the snowy, dark, winter. It’s cheap. Very cheap in fact. You can grab a good sized meal for 30-40kr. Because of how it’s set up, it’s a little easier to pay with cash but card is accepted too. One thing, I would say to take your wrap without the pickles. I’m not a huge pickle fan in the first place, but there’s something a little funky about them in my experience. Maddie loves gurka, and she feels the same, so I’d take our word. This place is notorious with a great reputation, and even ranks highly amongst the tripadvisor community. If you need a quick meal on the go, this is the place. In the blue corner: Kebabhuset. 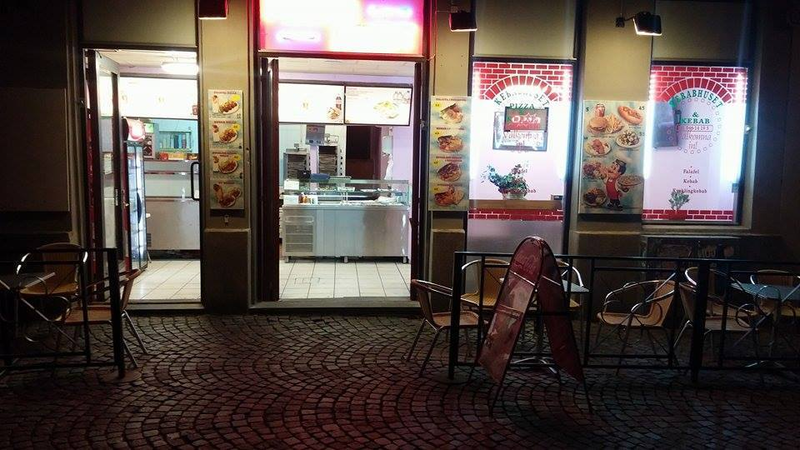 And here’s the contender: Kebabhuset. If you look around online you’ll find very little about them other than their Facebook. They’re definitely not as well known as Lundafalafel, however, Kebabhuset back a punch when it comes to their food. 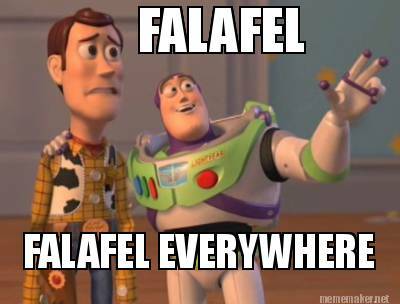 Every time that I’ve been to Kebabhuset, I’ve had freshly made falafels right in front of me. Practically to order. They’ve also got a wide variety of choice on the menu including a few little gems. A halloumi and falafel wrap to start with. Amazing. And their mangosås (mango sauce), mixed with a little vitlökssås (garlic sauce)…damn! Let’s just say I’ve been back quite a few times for that combo. Their ingredients all seem super fresh and full of flavour. I’ve always experienced a very welcoming service from their staff. They’re friendly and clearly take care and pride with your order. They’ll stuff those wraps as full as they’ll go! There’s also seating available, both inside and out, for if you want to dine in or just for comfort whilst you wait for your falafel to fry. The cost is a little higher than that at Lundafalafel, maybe 10kr extra for your meal, but they do have a loyalty card available so you can get money that back over time with free wraps. Now this was a close fought fight. And there definitely wasn’t a round one knock out. This one went to the bell. But the decision goes to…. 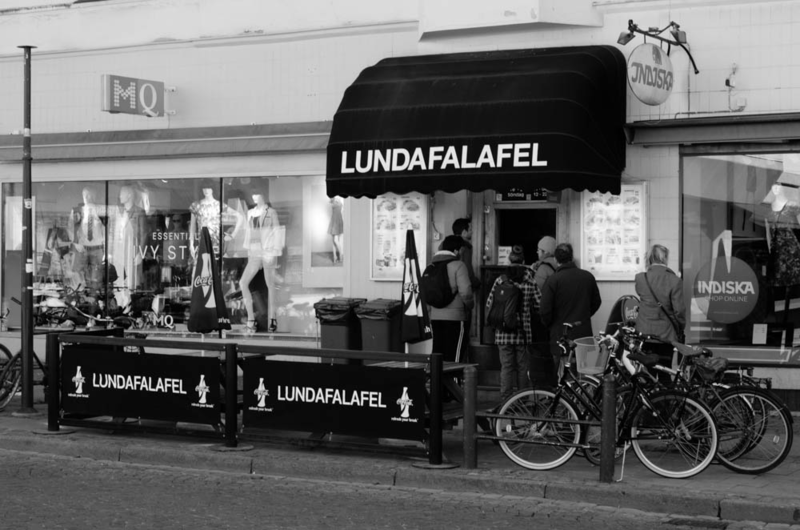 Lundafalafel is a fan favourite in Lund, and perfect for a quick grab and go lunch, but the contender takes this fight. The quality of their food and extra sprinkle of service combined with vitlökssås gives them the edge today. There are plenty of other spots to grab some great falafel in Lund, and I’d love to hear what your favourite places are. Some may even be able to take the falafel title. Let me know via the comment box below. Thanks for the tip! I will have to try Kebabhuset some day. However you are wrong about the pickles. Both me and my girlfriend ask for “plenty of pickles” when we order. They have the tastiest pickles I’ve tried so far in Skåne. They use a variant of “saltgurka” without any vinegar just brine. There are are a variety of methods and spices you can use to make pickles (like dill, bay leaves, mustard leaves, black pepper etc), the one they use might be just plain brine though. I’ve asked where they get theirs and it’s from Malmö. Will try to buy some next time I’m there. So if you have never tried “saltgurka” give it a try and if you do not like it, you can always have without next time and even remove the ones you get first time. 🙂 But you might be missing big part of the amazing taste of their falafel if you skip it. Thanks for the comment! Definitely give it a shot. The guys at kebabhuset make the falafel fresh in front of you which is great to see. And the service is always top notch. I do love the kebab at lundafalafel but just without their pickles. I’m actually a fan of saltgurka, but like you said, theirs are slightly different to the typical variety. Unfortunately they’re just not for me. Ohhhh. Another contestant has entered. :-D. There’s so many to choose from eh? Kebabhuset is the location where the first falafel in Sweden was sold, back in the eighties when it was “Falafelkungen”. Är det sant? That’s really interesting to know if it is! Certainly the battle to end all felafel battles. Don’t know if I’d agree with the conclusion though… 😛 I’ll definitely have to check out that mango/garlic combo. Hahah excellent post! 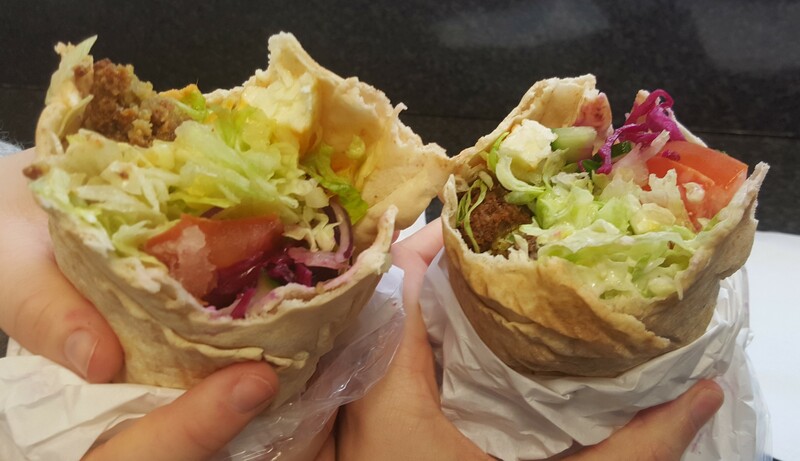 Kebabhuset is by far the best place to grab a delicious falafel! Their halloumi falafel is amaze. D-Guild and LTH – Wanderlust!